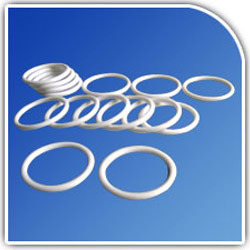 We are a leading Supplier & Manufacturer of PTFE Rings such as Carbon Filled PTFE Ring, Glass Filled PTFE Ring, Bronze Filled PTFE Piston Rings and Bronze Filled PTFE Guide Rings from India. We are one of the leading manufacturers and traders of a Carbon Filled PTFE Ring. These are designed in conformance with the prevailing industry standards. 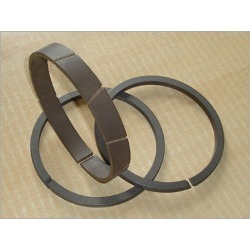 These self-supported rings can be designed as per the specifications detailed by our clients. These rings are precision designed and meet all the requirements of modern machinery. 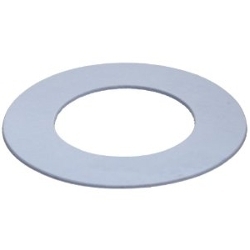 Carbon Filled PTFE Ring are manufactured using high quality raw material to ensure superior quality. We are manufacturing a well-tested range of Glass Filled PTFE Ring to our clients all across the nation. It is designed using finest quality material and test it as per the highest quality benchmarks prevailing in the industry. It is a highly acclaimed range that is available in standard as well as customized make and model. Our valued patrons can avail it industry leading prices as per customer's specifications and drawings. This range is quality compliant, durable and excellent in terms of performance. We are one of the well-known names in the market engaged in offering unmatched quality range of Bronze Filled PTFE Piston Rings. Manufactured using high grade bronze and other raw material, the range we offer is durable and resistant to corrosion. The range we offer is long lasting because before the final delivery all the products are tested stringently by us. 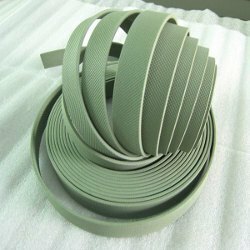 Our organization offers a wide range of Bronze Filled PTFE Guide Rings.Only high grade raw material and latest machines are used in the production process to ensure that the end product is defect-free. We assure to test the product on well-defined parameters before the final packaging. Besides, owing to our wide distribution network, we deliver the orders on time. These rings are widely demanded across various industries for their precision design, fine finish and unmatched quality.